Adding a stud partition wall to your home or office can completely convert your property to a layout better suited to your needs. 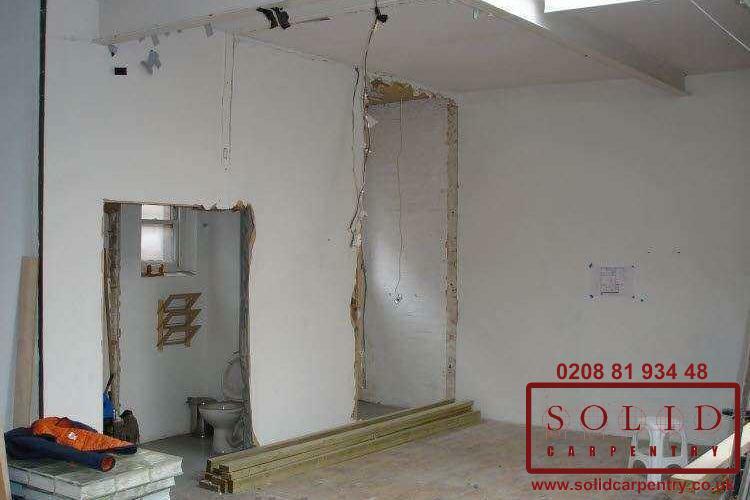 Such a wall can be built to divide a larger room into two, add a corridor or hallway or section off a portion of a room, as seen in the examples at the left. 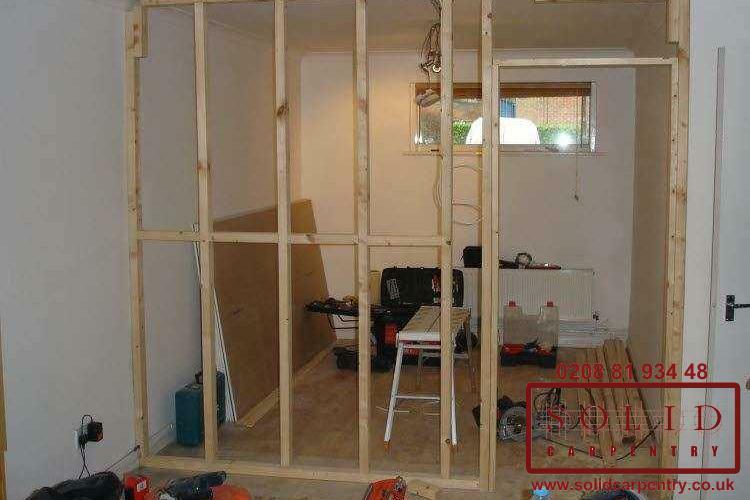 Here you can see how our highly skilled carpenters created a wood framed wall using timber studs, which are then secured to the floor and/or ceiling of the existing wall. 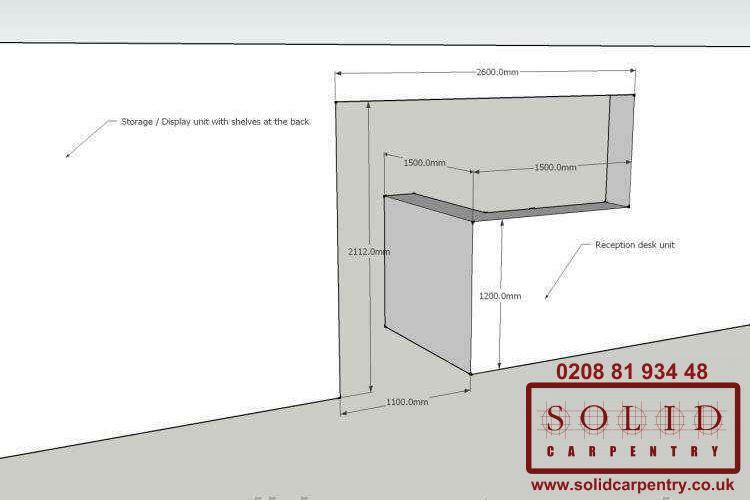 The wall is then reinforced to ensure a robust and solid partition in your home or office. 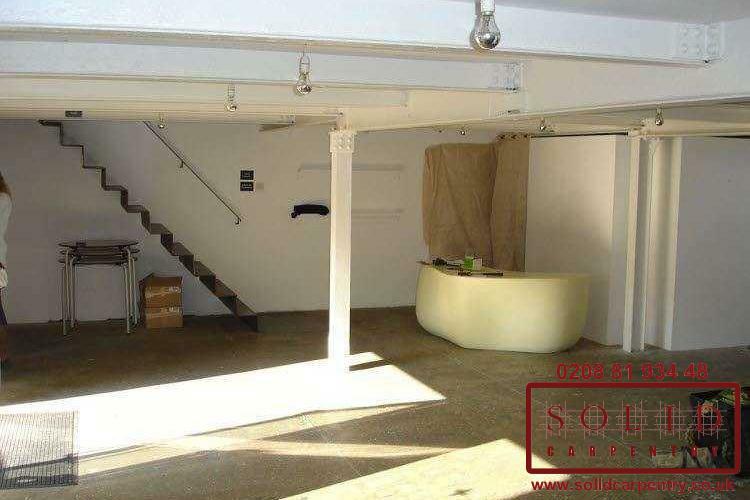 Doorways and hatches can also be incorporated. 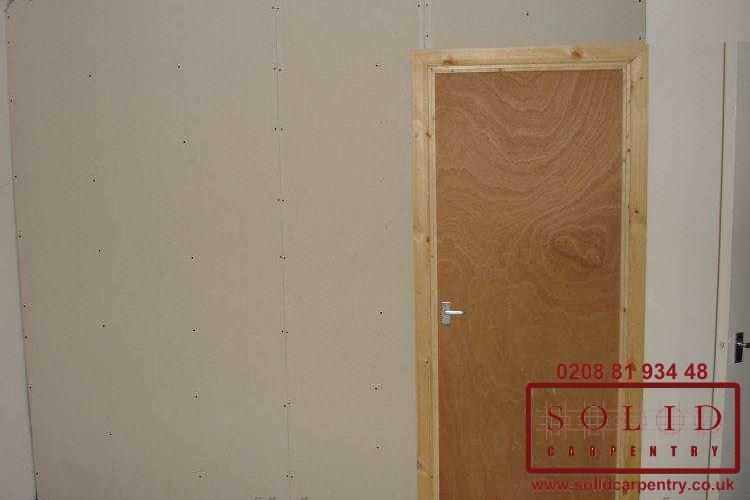 Incorporating a partition wall is helpful if you are planning to rent out your property and want to offer an additional room, or if you require an extra room in your home for guests or a new member of the family! 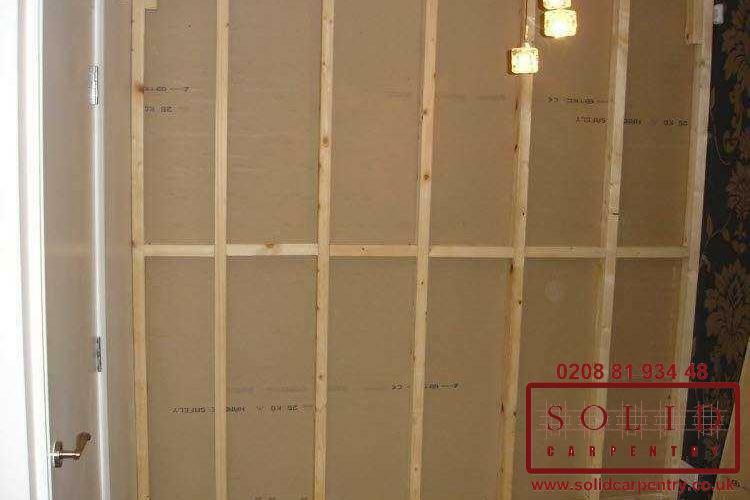 Furthermore, a stud partition wall can mean not having to move to a larger more expensive home, and can, in fact, add value to your existing property. 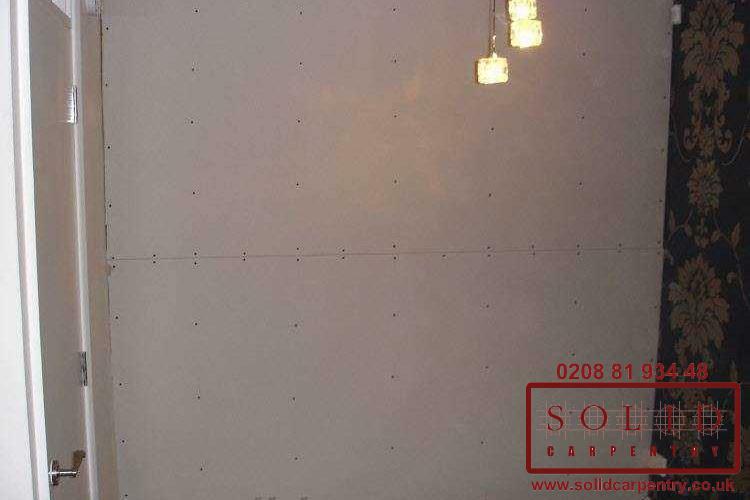 The before and after pictures at the left show a highly technical process that requires a skilled professional to undertake. 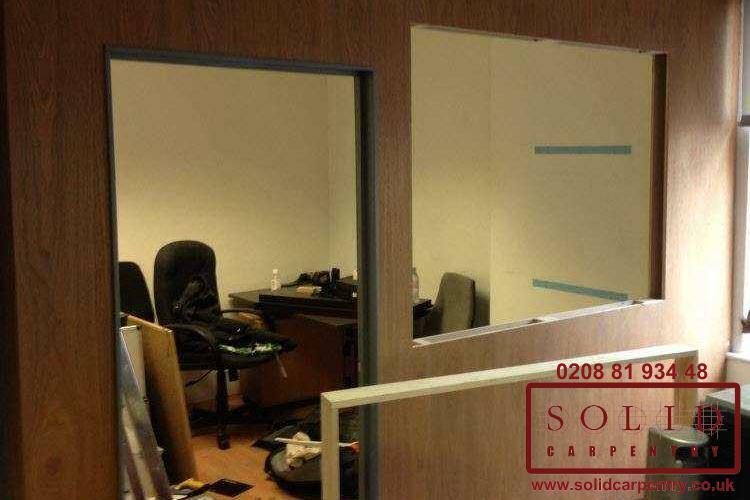 At Solid Carpentry, our specialist carpenters can design and install a complete internal partition wall to your specific requirements and at a competitive price. 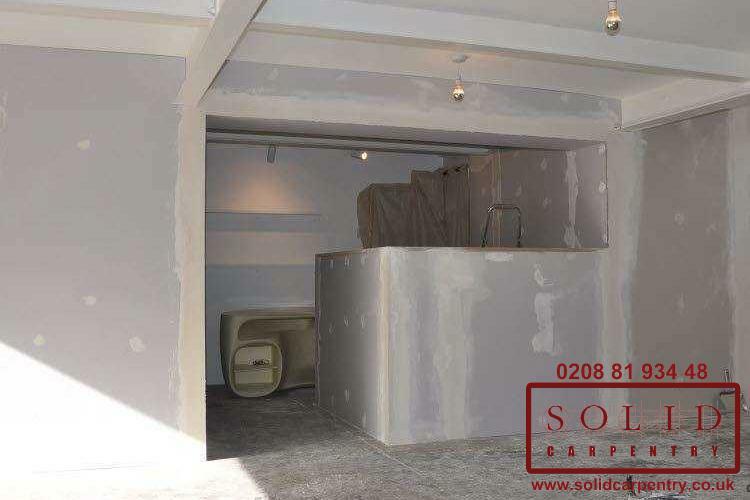 Whether you require a single wall or to redesign an entire room, our team of experts will help bring your idea to life, transforming your space exactly as you envisioned. 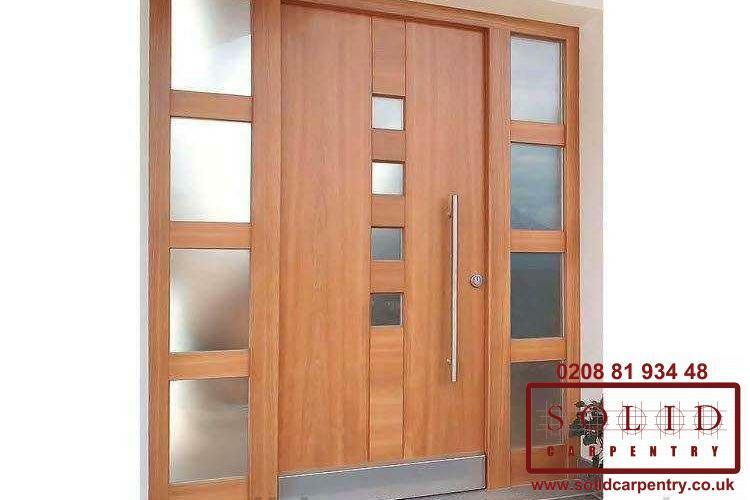 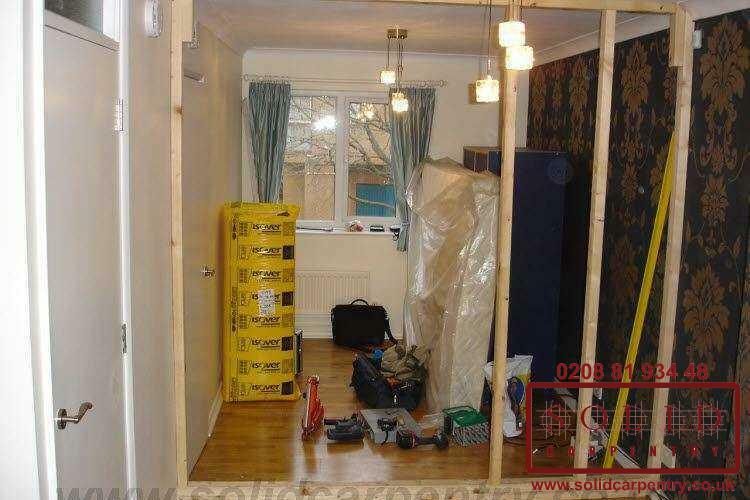 The Solid Carpentry reputation is one for delivering superior constructions and outstanding customer service. 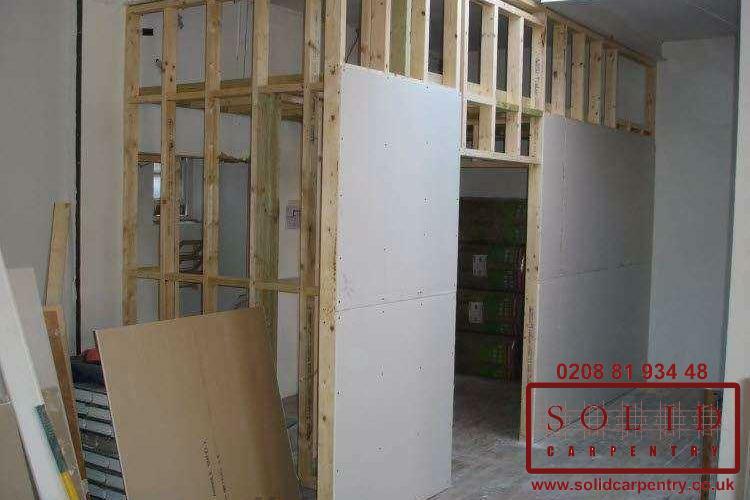 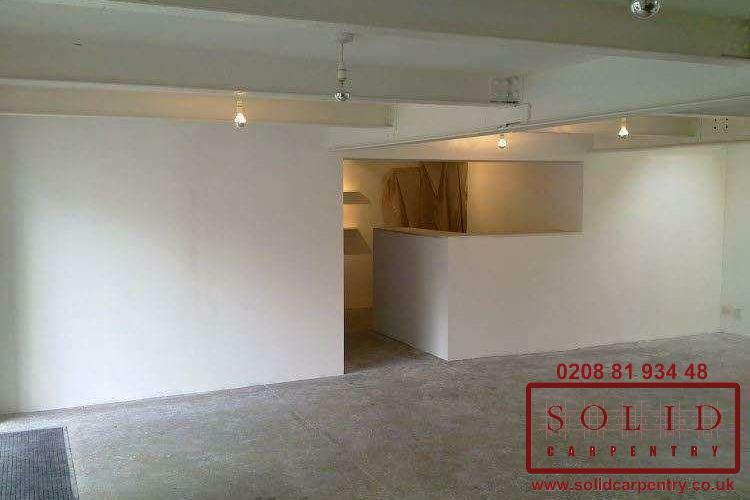 With more than 15 years’ experience installing stud partition walls and bespoke carpentry solutions across London, we have become a name that you can trust. 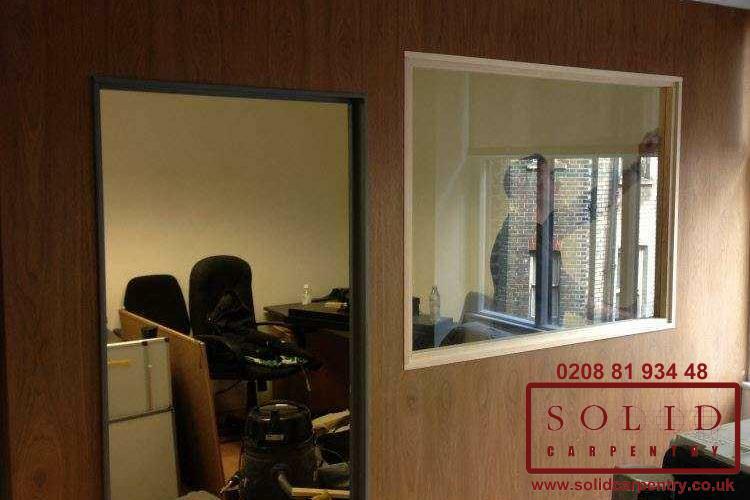 Do you have a project in mind that would benefit from a partition wall? 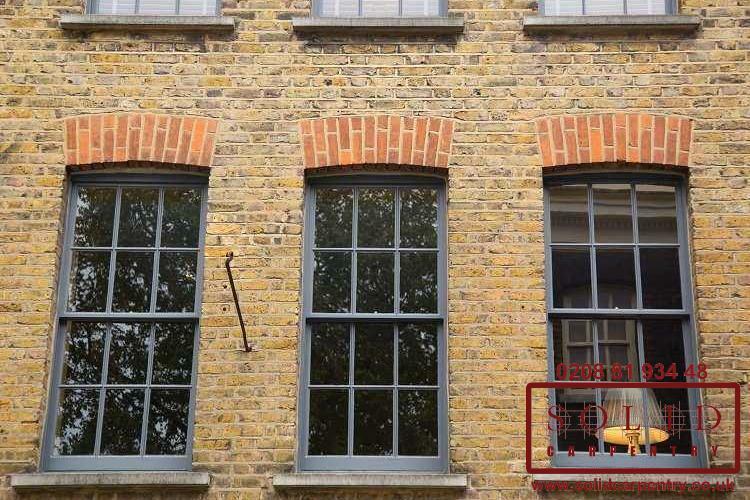 Tell us more! 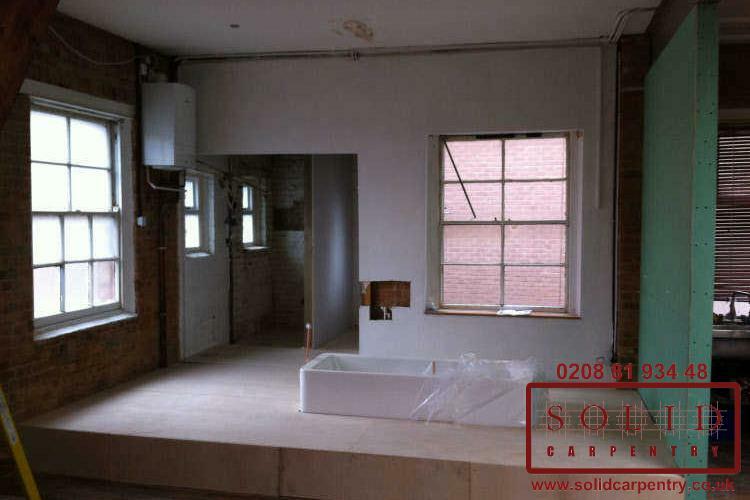 Get in touch for your free no-obligation quotation.